Struggling to find a trusted and certified dealer of Toyota cars in St. Johns’s County? Need not to worry, Arlington Toyota is at your service. We understand that buying a car is a daunting task; deciding on whether to buy a used or new, and which model to choose, definitely increases the stress level. Arlington Toyota has a wide variety of models of new and used Toyota trucks, cars, Sedans and SUVs, ensuring your satisfaction at all times. We offer the best value with numerous trade-in deals in your local community of St. Johns’s County. We know the pain of purchasing a used or new car, which is why we offer exceptional Toyota dealership in your neighborhood of St. Johns’s County. At Arlington Toyota, we believe in making every sale a success by delivering excellence through trained technicians, financial center and friendly staff. Our professional staff ensures your highest level of service for your Toyota car and that too, speedily. Arlington Toyota makes it easy to get behind the wheel of your brand new or used Toyota. No matter whether you are looking for pre-owned SUV or to tune up your car, Arlington Toyota is your best choice. We have all Toyota car parts available. Maintaining your car’s performance is a breeze with us, as we offer a certified maintenance center. Struggling to find financing for making your future buying, visit our expert Toyota finance center to learn more about our features. 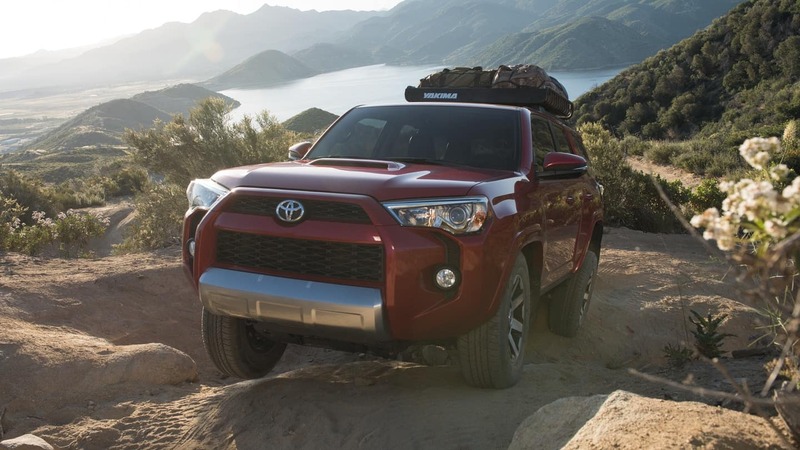 Begin your next adventure or a family trip with Arlington Toyota cars! When you shop at our Toyota dealership near St. Johns’s County, FL, we treat you with professionalism offering a huge variety of new Toyota models, you could ask for. At Arlington Toyota, we take pride on our brand new vehicle inventory guaranteed to suit the needs of the entire family from sporty cars (Toyota Corolla) to family-friendly cars (Toyota Sienna) to commuter vehicles (Toyota Camry), we have a car for everybody. We carry all the latest models including the new Toyota Hybrid, Corolla (coming soon) and the Camry. Our new Toyota RAV4 is a complete family car while the Toyota Prius is a fuel-saving commuter. We also offer Toyota trucks and customizable upgrades. At Arlington Toyota, we are eager to showcase the new Toyota models in our inventory. 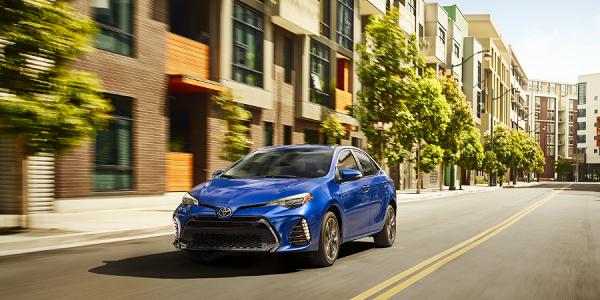 Don’t forget to check the latest models of 2019 Toyota Avalon, Camry, Tundra and many more! Contact Arlington Toyota today for more information on our new Toyota inventory and new Toyota specials. Be sure to stop by our St. Johns’s County, Florida Toyota dealership to test drive your dream Toyota car! Arlington Toyota has a large inventory of high-quality pre-owned vehicles. Our certified pre-owned vehicles inventory is sure to deliver best for your buck. We also deal in trading and buying of your used pre-owned model, for more information contact our trade representatives near St. Johns’s County locality. Arlington Toyota of St. Johns’s County is serving Florida for many years and gained popularity and reputation for being the number one choice for buying pre-owned vehicles. We offer the best resale value for and a great deal on used cars. Our welcoming staff is present at all times to help you during your test-drive of your preferred used car, highlight its main features and guide you through our stress-free sale process. Browse our complete selection of pre-owned cheap cars, SUV’s, trucks, and minivans for sale at Arlington Toyota of St. Johns’s County. Stop and shop today! The Toyota certified technicians at St. Johns’s County Arlington Toyota are well-equipped with advanced technology to ensure that your vehicle is repaired to the same standard as when it was manufactured. Expect only the highest quality service from us as we only use Genuine Toyota parts at our service center. Our trained technicians are expert in the field of repair of all models of vehicles, ensuring your automobile is repaired according to the manufacturer or factory specifications while maintaining your warranty and protecting your investment. Only Arlington Toyota collision center gives you peace of mind. Nobody offers a better deal on vehicles than we do! 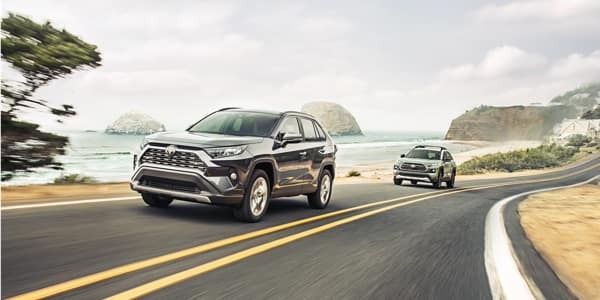 Arlington Toyota of St. Johns’s County offers a wide range of Toyota models at competitive prices along with various special deals and offerings. We offer comprehensive Toyota specials for all who want to stay within their budget. Be sure to check our specials on a regular basis as our specials and deals are updated constantly. We make sure to meet the financial needs of families of St. Johns’s County and offer something that works for you. Only at Arlington Toyota, we understand the difficulty level while buying a car, undeniably, it a financial decision. Which is why we offer different range of cars, meeting the needs of everyone. Your one only auto loan and car lease dealership in St. Johns’s County neighborhood. We strongly believe that a car financing decision can’t be made without proper information and guidance. Which is why our financial workforce is the best choice for answering all your finance related questions. Whether you have bad, good, or no credit, our finance team will work with a variety of lending sources to get you approved, guaranteeing the right decision meeting your financial requirements. Why Choose Arlington Toyota near St. Johns’s County, FL? We here at Arlington Toyota, St. Johns’s County, understand how much you work hard to earn money, which is why we offer only best for your buck. We offer the premier value for all types of automobiles, ensuring your peace at mind and taking away your stress of pre-owned car shopping. Arlington Toyota is a smart choice for the residents of St. Johns’s County as we have professional and trained technicians, well-maintained and an extensive variety of models of vehicles along with a service center, sure to deliver excellence. Do visit us on your next purchase and witness unparalleled service!